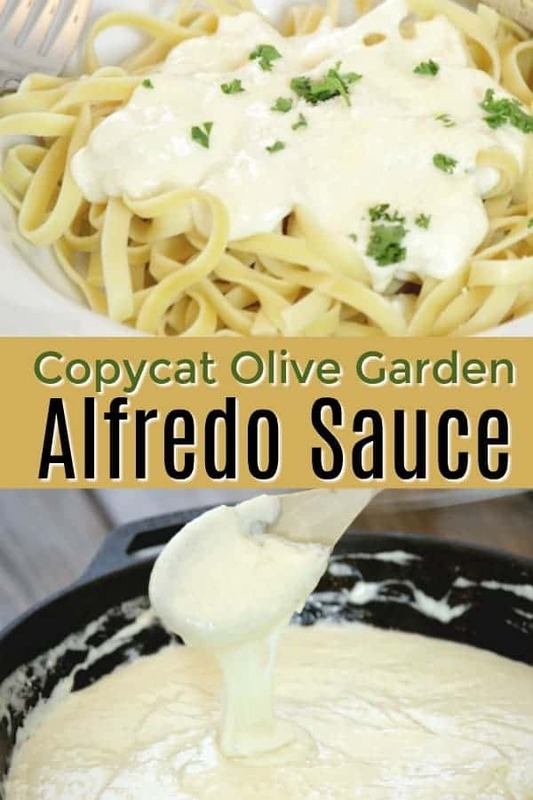 How to make Copycat Olive Garden Fettuccini Alfredo Sauce! Hands down the best Alfredo sauce and it is not only an easy family dinner right, but its rich, creamy flavor is just as good as eating it in the restaurant! 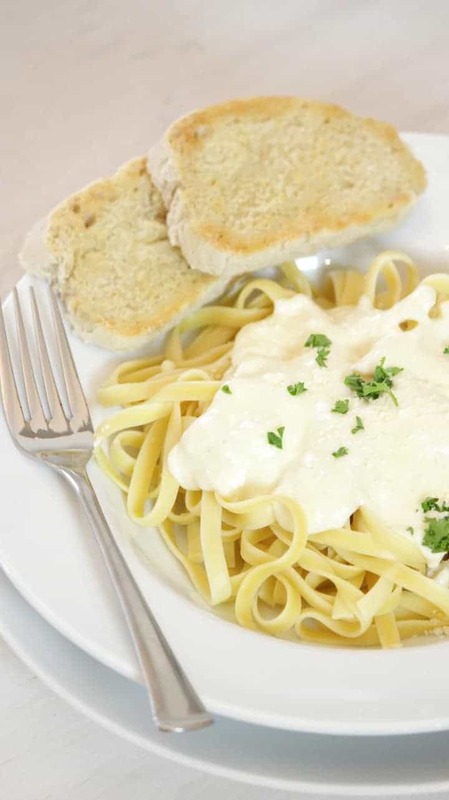 Pasta is one of our go-to family dinners and fettuccine alfredo sauce is for sure a favorite! Once you try this Copycat Olive Garden Fettuccini Alfredo Sauce, you will never have to go out for pasta again! I am always looking for an easy dinner and this recipe it so easy to make. You can literally have the sauce ready by the time the pasta is done cooking. Just get your pot of boiling water ready for your pasta of choice and start the sauce while the pasta is cooking. Speaking of easy dinners, we recently found a new favorite. Do you love buffalo wings and ranch? Then you should for sure try our Buffalo Chicken Enchiladas. The cool ranch with the spicy buffalo sauce is the perfect combination! This sauce is very versatile. There are a ton of other recipes that you can incorporate this easy Alfredo sauce. Use the sauce on a pizza crust and top it with chicken and cheese and voila – you have Chicken Alfredo Pizza! Substitute it for the spaghetti sauce in a lasagna and make an Alfredo Lasagna! Mix it with penne pasta and add chicken and make a Cheesy Chicken Alfredo Bake Casserole! 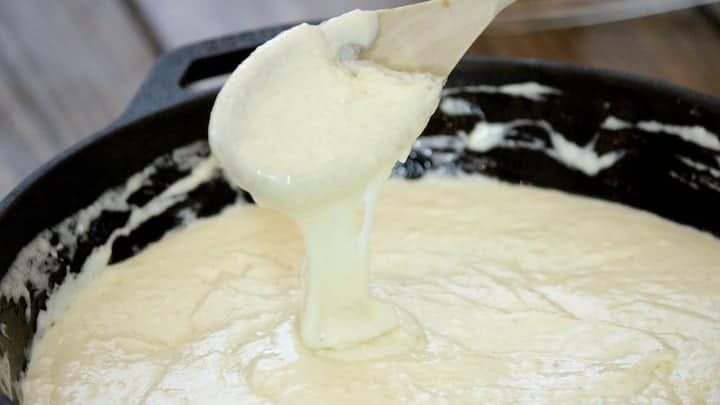 In a medium saucepan or skillet melt butter over medium heat. Add Flour, cream cheese, garlic powder, salt, and whisk. Add cream, whisk until thick. Add Italian cheese blend, stir until melted, and serve over bed of pasta. 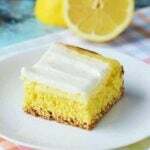 Looking for some other great easy dinner recipes? 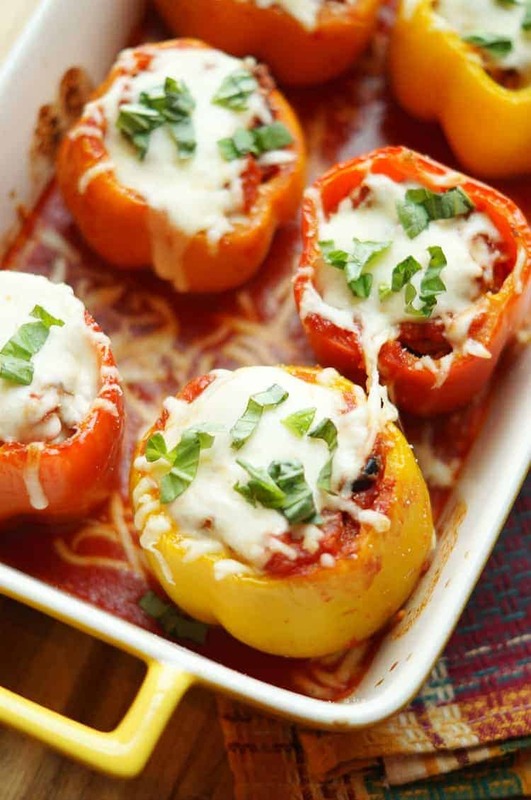 Pizza Stuffed Peppers Supreme Pizza Stuffed Peppers have all the flavors of a supreme pizza, made healthier then stuffed into pepper form! 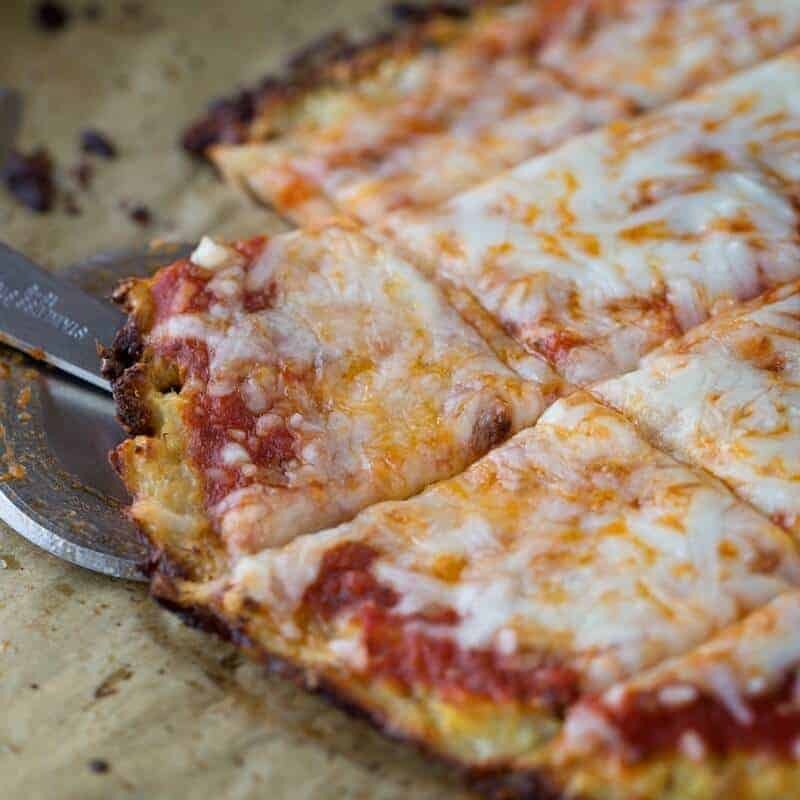 Cauliflower Pizza – This is simply the best cauliflower pizza crust out there. 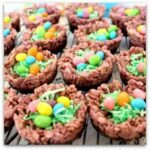 It is a great guilt free, gluten free, low carb option. The best thing is that my kids love it! That is not Alfredo sauce. 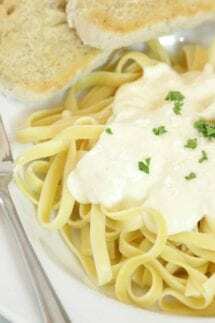 Alfredo sauce contains three ingredients…butter, heavy cream and parmesan cheese. Well duh. This is OLIVE GARDEN Alfredo Sauce. Completely different and way better. Don’t be a jerk. If you don’t like it move on and stop being rude. ?????? This sauce is so easy and so good! I served it over linguini pasta and shrimp for myself, grilled chicken for my husband.